The Super Lucky Frog is based on the Folklore tale with a modern twist. The Lucky Frog video slot has 5 reels with 25 paylines. The Super Lucky Frog has wild symbols, free spins and a jackpot game with high prizes to be won . How many frogs do you have to kiss before you meet your prince? And how many spins do you need to spin before you land the jackpot? Try your luck with this Super Lucky Frog video slot to find out! The Super Lucky Frog video slot has free spins, to start these off simply click on start free spins. The spins will spin automatically for however many times you won, this can be anything up to 30 free spins! 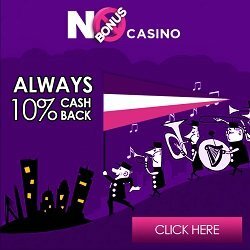 In this online casino video slot all free spin wins will be tripled to make your winnings even better. It’s even possible if you are a Super Lucky Frog that you will win even more free spins during your free spin round and they will be added onto your current balance. The jackpot/bonus game occurs when three or more of thwe Super Lucky Frog symbols appear in any one bet line on this video slot. Once you get to play the bonus game, you click spin to turn the wheel, you keep spinning until you get the jackpot amount. If you are aiming for the larger jackpot then you need to bet bigger in your main game bets. The more you bet the more chance of winning big money prizes. All jackpot rules can be found on the slot and are at the descretion of the operator.